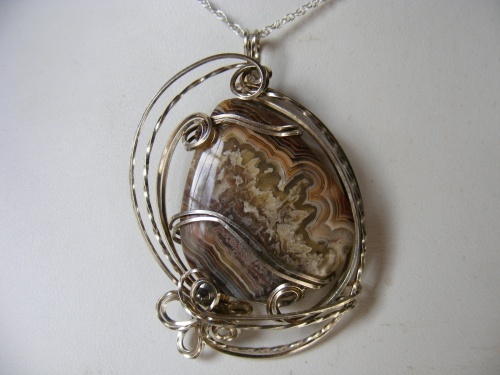 This crazy lace agate gemstone is realy pretty with all the strias in it. It is adorned with dripping curls of sterling silver enhancing its beauty and making it truly one of a kind. Piece measures approximately 2" from top of bail to bottom and comes with an 18" sterling silver chain.